You won’t miss this in a rush! 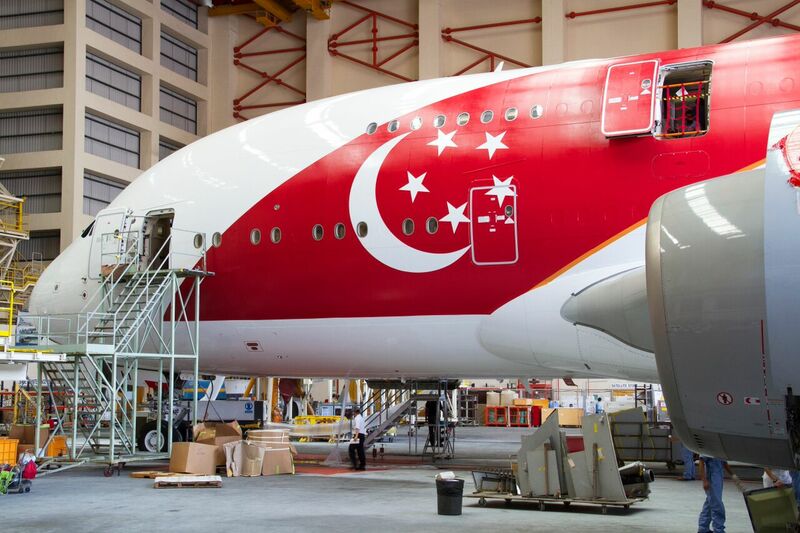 Singapore Airlines have just brought one of two aircraft out of the paint shop to celebrate Singapore’s 50th year of independence. Today marked SIA’s special A380 Charity Flight, on which some 300 beneficiaries of Community Chest experienced a three-hour flight on the jet. Beneficiaries included children with special needs, adults with disabilities, as well as disadvantaged elderly and families, many of whom have never had the opportunity to take a flight. 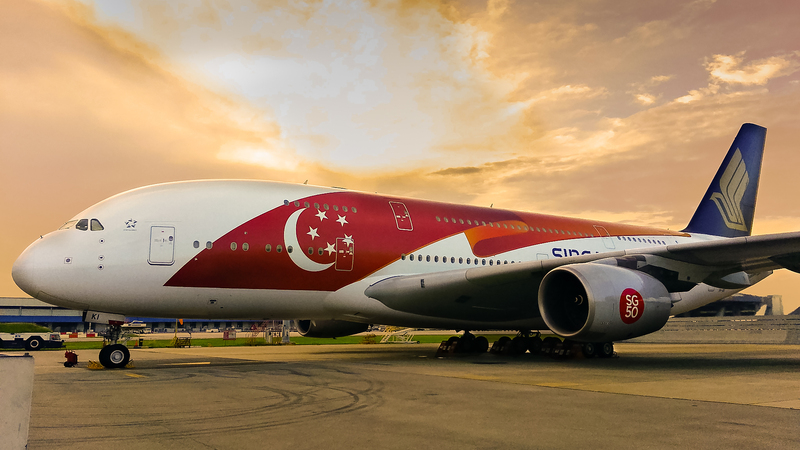 Both A380s will be adorned with the same large billowing Singaporean flag and can be seen on planes until the end of the year. The two ‘whale jets’ will be flying from Singapore to Beijing, Hong Kong, London, Mumbai, New Delhi, Shanghai, Sydney and Zurich giving plenty of spotters the chance to enjoy the special livery. 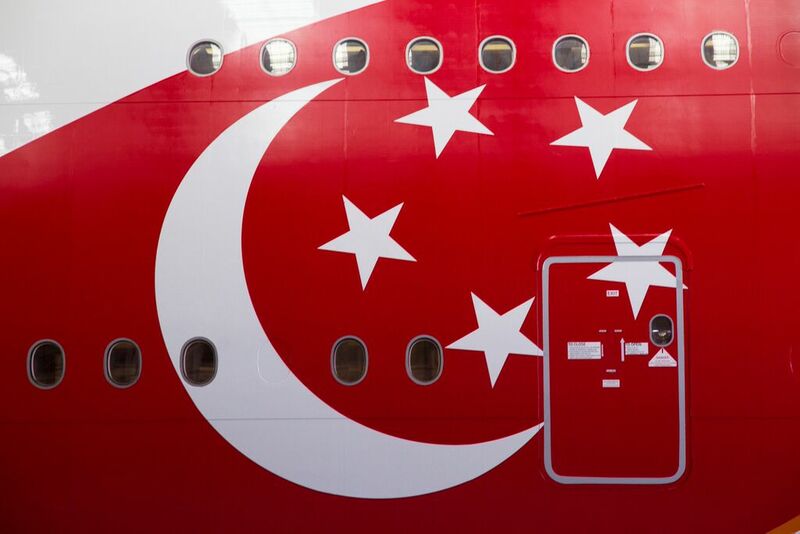 Supporting the fuselage design will be the iconic SG50 red dot found on the two inboard engines. And if you don’t get the chance to spot the jet, don’t worry. Aviation enthusiasts will be able to get their hands on a collectible aircraft model in the special livery. A 1:200 scale model and a limited-edition 1:100 scale model will be available from KrisShop from July. Well, I don’t quite understand the timing. Singapore Airlines name first appeared in Malaysia-Singapore Airlines in 1966 (50 years ago next year). But Singapore Airlines itself came to existence only in 1972. So their 50th anniversary will be in 2022.